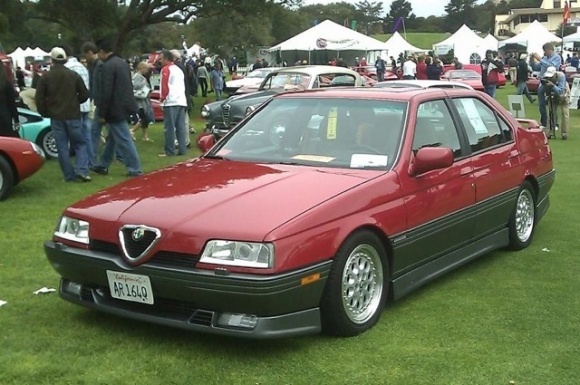 The following adventuresome Alfisti are planning to make the trek across the wide-open and very warm USA to the Alfa Romeo convention in Sonoma California. Note, most car photos are not the actual cars but used for illustration purpose only. I’m leaving from Long Island, NY on June 23, and meeting up with Beverley, Fred and Hans along I-84 in New York. Leaving from Long Branch, NJ Wednesday evening June 26th. Direct routing to the Gateway Arch and jumping on the Mother Road that side of the Mississippi. I am leaving Rochester NY on 6/28 . Will drive in interstates till I catch you guys!! Picking up my brother and my girl friend in LA and head up to Sonoma. I’m the guy sitting on the fence. Well, I am jumping off and onto the road err driver seat., I hope. My last shift at work is a night shift of the 20th of June, so theoretically I can leave on the 23rd. The car is a 164 and is on blocks and I am half way through the timing belt replacement and other small fly gripes. My plans are to do route 66 till Flagstaff. At Flagstaff I want to visit a college buddy who has a summer-house in the vicinity of Flagstaff. He mentioned that we should stop by because he has a section of Route 66 on his property that the conocenti know about and ask to have pictures taken due to his segment has a bridge over a wash. Cool. UPDATE 6/22 – Timing belt is done. Some final work to be done but will not be completed until June 26th or later. Departing from East Hampton, Connecticut on June 23rd. Traveling via the maps published here on this site. As we have the most time we will be driving the slowest and covering the least amount of miles per day in anticipation of the rest of the participants catching up with us. Keep the Shiney Side Up and Stay Safe. Anyone coming through LA on the way to Sonoma please stop by Autobooks in Burbank. on Saturday July 6 if you can. I am inviting local Alfas to welcome you. Many of us are driving up so the caravan will grow. So, equipe F+B+H have more time to dive into the rivers!! Wishing you all the best in progress! Hello Route 66ers! There’s still room on the post convention Tahoe/Motherlode Tour if you are interested. Mr. Rizzo in your group is signed up. Thought I’d mention it to all of you. Day 2 includes a late afternoon/early evening BBQ at a cabin in Lake Tahoe. It’s not listed on the official tour description. I’m co-leading the tour and hosting the BBQ. Could be a fun head start to your journey east! Some of have signed up for the North Coast post convention tour. Also, most are shipping the cars back east as vacation time only allows a one way drive.